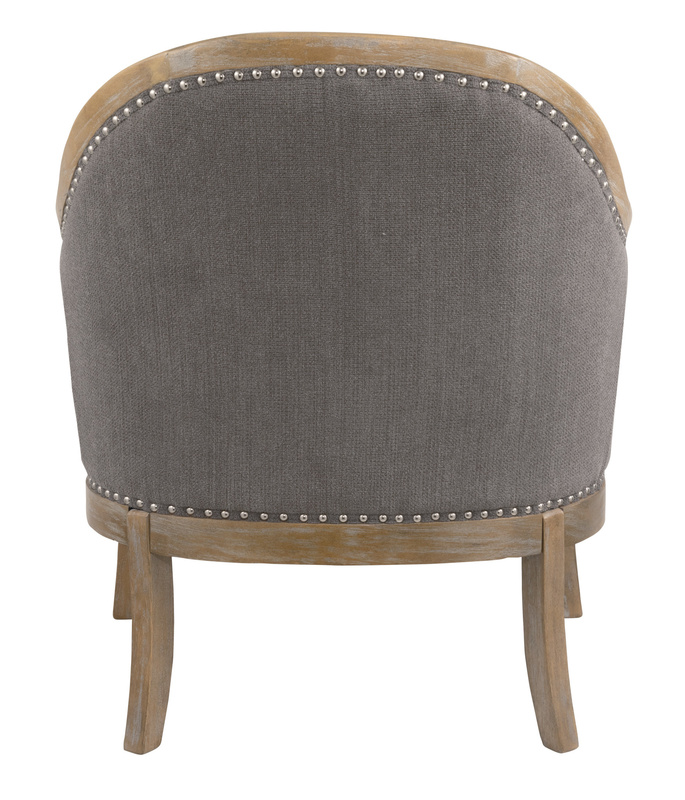 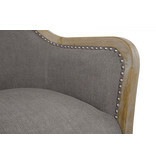 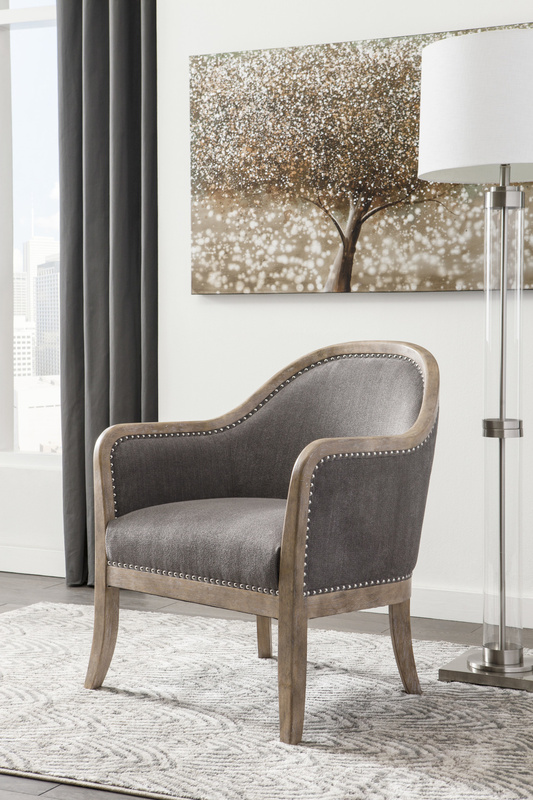 High Leg Crescent Back Accent Chair with Silver Nailhead Trim. 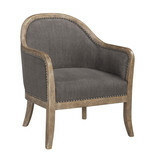 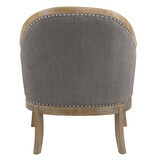 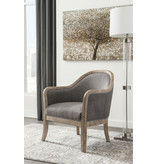 Upholstered in a Soft Heathered Gray Polyester Fabric. 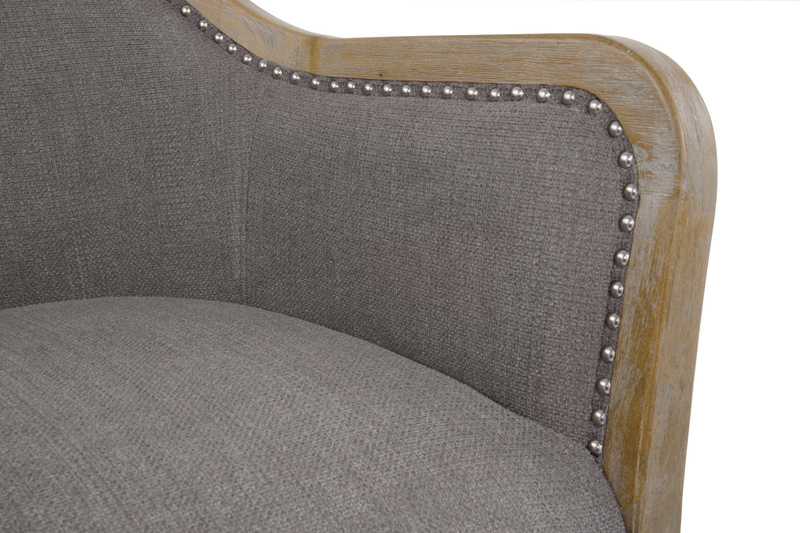 Tight Seat Back and Cushion with Webbing Construction. Rubberwood Frame in Light Brown Finish.